The Universal Periodic Review is an intriguing and ambitious development in human rights monitoring which breaks new ground by engaging all 193 members of the United Nations. This book provides the first sustained analysis of the Review and explains how the Review functions within the architecture of the United Nations. It draws on socio-legal scholarship and the insights of human rights practitioners with direct experience of the Review in order to consider its regulatory power and its capacity to influence the behaviour of states. It also highlights the significance of the embodied features of the Review, with its cyclical and intricately managed interactive dialogues. 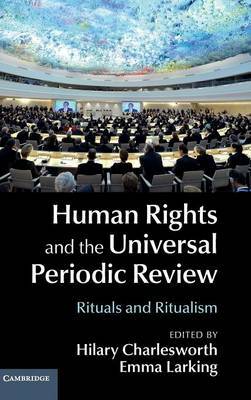 Additionally, it discusses the rituals associated with the Review, examines the tendency of the Review towards hollow ritualism (which undermines its aspiration to address human rights violations comprehensively) and suggests how this ritualism might be overcome.